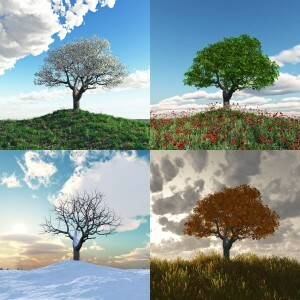 What are the code requirements for various IECC climate zones? Energy conservation requirements have become a more important issue in the past few years. The regulations, created by the International Energy Conservation Code, or IECC, is designed to keep buildings as energy-efficient as possible when it comes to heating and cooling. Here is a look at the different insulation and window factors they consider, and the requirements across the eight US climate zones. Each county in the US is sorted by these climate zones, which is sub-categorized by moist, dry, and marine. R-Values are used to determine the minimum insulative value of different parts of the homes. Insulated ceilings keep heat from escaping out of the top of a building and can prevent damage from ice dams. This is less important in the warmer zones, which have an R-value of 30 in zones 1-3 and a value of 38 in zones 4 and 5. Zones 6, 7 and 8 have a value requirement of 49. For wood frame walls, the minimum R-Value is 13 in zones 1-4. Zones 5 and 6 have a requirement of 20, and 7 and 8 are at 21. This is a wall that is made of something other than timber with insulation and drywall. Brick, stone and concrete are common mass walls, and the width of the material can increase insulative value rather than relying solely on added insulation. R-values for these walls are lower than hollow timber frame walls, as the wall materials have natural insulative values. Zones 1 and 2 have required values of 3 and 4, Zones 3 and 4 have a required value of 5. Zones 4 marine and 5 have a required value of 13. Zone 6 requires an R-value of 15, and zones 7 and 8 require a value of 19. Floors have a required R-value of 13 in zones 1-3, and 19 in zone 4. From zone 4-marine through 8, the requirements have a condition of at least filling the space if you cannot meet the R-value with the space provided. Requirements for the remaining zones are 30 for 4-marine through 6, and 38 for 7 and 8. Earth serves as a very insulative material, so less insulation is required in many cases in areas that are underground. All three structures have similar R-values within a region. No insulation is required for zones 1 and 2. Zone 3 requires an R-value of 5 in basements and crawl spaces, but nothing for slabs. Zones 4 and 5 require an R-value of 10 for all three structures. Zones 6, 7 and 8 also have a 10 R-value for slabs and crawl spaces, and of 15 for basements. Windows go the opposite direction when it comes to protection by zone. The U-factor of windows is higher in zones 1 (1.2), 2 (0.65) and 3 (0.5) than they are in the remaining zones, which all require 0.35. Skylights are a bit lower in zones 1 and 2, at 0.65, but higher in the remaining zones, which all require 0.6 as a U-factor. For more information on IECC requirements or to learn more about insulation, contact USI online to find a branch near you and get a free quote. USI believes in excellence in every step of the process and ensures timely completion and quality of service, time after time. What are the recommended insulation levels for a cold climate? ← What are building enclosures responsible for doing?